You understand the importance of hiring an expert to handle business accounts and taxation. Before you make a choice amongst the many accountants in Greenford analyse what you are being offered beyond accounting services. Greenford accountants are many but, if you are searching for the best, then you deserve DNS Accountants. What is it that makes your business successful; innovation, sales and marketing, efficient processes, or risk taking ability? Simple things sometimes get ignored like efficient management of accounts. When you have an accurate record of each penny that goes into the business and flows out, you know in which direction your business is set to move. Isn’t it vital to know each detail about your business accounts? Yes, it is, because it will help you to decide the future course of your business, the areas that need attention and where you need to stop investing time and resources. Also, there are taxes and allowances you need to pay and you might forget about them. Choose a financial accountant in Greenford who will make that extra effort to provide consulting services, guide and be your financial advisor. A Chartered Accountant firm is your business partner as it knows a lot about your business and can determine its direction. We at DNS Accountants care about the present and the future of your business. We are here to assist you in achieving your vision. We have online accounting software to which you have complete access. It keeps a complete update of your accounts and you can access it anytime. It is called Nomisma. It is the most effective and effortless method to keep a record of accounting details with complete transparency. This way you can entrust us with the vital responsibility of your business. 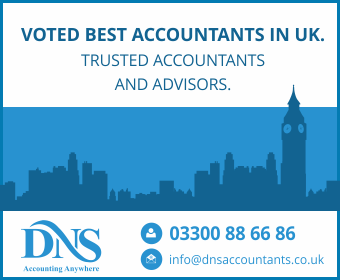 DNS Accountants is one of those rare accountants in Greenford Middlesex which protects you from worries of IR35 legislation. We are customer friendly and always respond to the needs of customers proactively. While we kept growing since 2005, we realise that clients who work through intermediaries are often worried about IR35, since there are serious consequences of ignoring it. Clients have to pay interest and penalties if we ignore the legislation as a result of HMRC enquiry. Timely action was imperative and we decided to take this stress off your shoulders by providing you prompt guidance to save unnecessary expenses. There are many expenses that you can claim from your client. Do you know about them? If you don’t, then we are the best to guide you because, we have hired a team of experts with requisite knowledge in this field. There are some expenses you can claim while some you cannot. This guidance will save a lot of time and efforts. It will boost the relationship with your clients too. Our clients can download an application, which will let them access accounting information anytime from their mobile phone. Through this you get a snapshot of your business anytime within few seconds. DNS Accountants make accounting easier and convenient for you. You can take pictures of the receipt and upload receipts on the software. As accountants guide you to other professionals, in the same way other professionals can guide you to efficient accountants in Greenford. Ask for referrals from entrepreneurs, small business owners, contractors or freelancers. When someone recommends you an accountant in Greenford he/she is sure that their services are the best. References always work to your benefit. While you search for a financial accountant in Greenford be sure to ask them their area of expertise. Do they specialise in guiding freelancers or sole traders? Will they understand your specific concerns or do they specialised in working with Limited Companies? This is vital piece of information that you need to have before choosing an accountant. Know about the clients and study the kind of industry other clients operate in. Have they catered to anyone from your sector? Know the total package of services they offer. For each service understand precisely how they are going to help you in your business? Lastly, ask them their fees and the manner in which they will handle your taxes. The accountant that you choose will know a lot about the financial information of your business and this is an integral part of it. Your accountant should be able to maintain secrecy about your business details. This trust and assurance will come only from an experienced Greenford accountant. Before you agree on your accountant remember to speak to their clients about the quality of their service and their track record. Also have a look at their website, their expertise, clients, achievements and certifications. DNS Accountants have regular one-on-one sessions with their clients. Before you choose us as your trusted advisors and accountant we brief you on all the services we provide. It doesn’t matter if you have a start up, small business or a big enterprise. DNS Accountants is here to understand business needs. This understanding helps us to package the best services for your business.